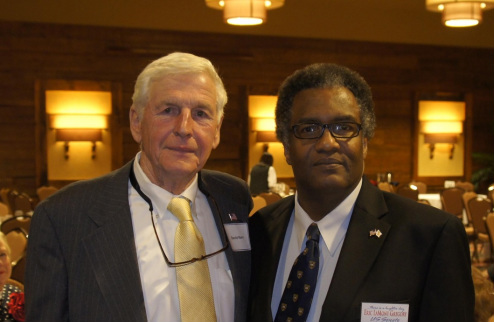 and US Senate candidate Eric LaMont Gregoryat the Mansfield Tea Party meeting. 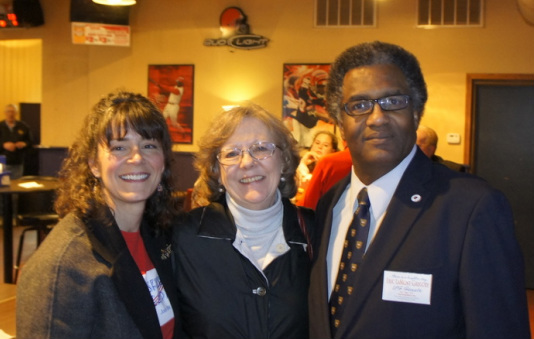 Kay Ayers Vice Chair Ohio Republican Party, US Senate candidate Eric LaMont Gregory and Joseph Ferguson Gregory Campaign Press Relations, attend the Clinton County Republican Party Lincoln Day Dinner. Eric LaMont Gregory (center) and Charlie Jones being interviewed by Mike Smith of AM 1490 WBEX, Chillicothe. 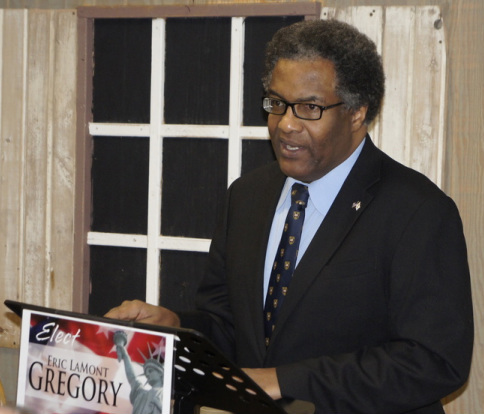 Eric LaMont Gregory announcing his candidacy for the US Senate at press conference 17 February 2011, Chillicothe, Ohio. Diane Carnes, Ross County Republican Party Chair and US Senatorial candidate Eric LaMont Gregory, dawning of a new day over Chillicothe. attend the Blanchester Chamber of Commerence 55th Annual Dinner. 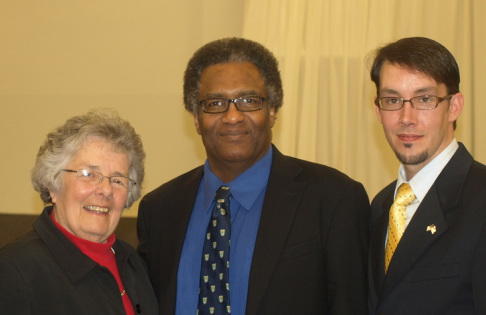 Clinton County Realtor and author Butch Peelle and Reverend Curtis Summerville (right) pose for photo. 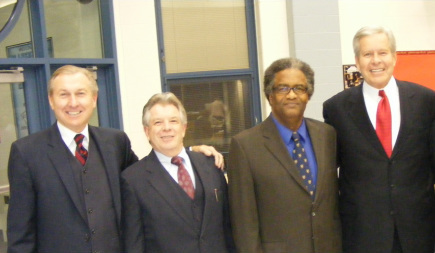 Butch was emcee at a celebration of Wilminton area high school graduates. "It is the values that you carry with you in society that will determine your ultimate value to society,"
says Butch Peelle to area high school graduates and their parents. 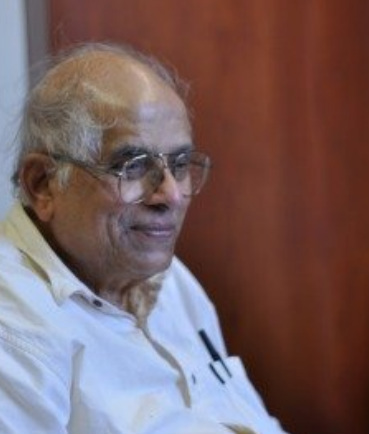 Miami University (Oxford) Professor of Philosphy Rama Rao and Senate Candidate Eric LaMont Gregory (not shown) remembering the brillant philosphy student Karen Leis, the redhead from Trenton who moved to Alaska. Photo by Carl Turner. Eric LaMont Gregory discusses the need to extend educational benefits to the spouses of injured veterans at Miami Univerisity's Hamilton Campus. Senate candidate Gregory with Iraqi War Veteran John Young at Miami Hamilton. Retired Air Force Master Sergeant Donald G Ferguson, ABX Air Inc CEO Joseph C Hete and Eric LaMont Gregory. President and CEO of Air Transposrt Services Group, Joseph C Hete (left) confers with Senate Candidate Eric LaMont Gregory on the future of the Wilmington Airport complex. US Senate candidate Eric LaMont Gregory in discussions with Mayor Gary Leitzell of Dayton. US Senate candidate Eric LaMont Gregory and Dayton Mayor Gary Leitzell, an independent changing the political landscape of Dayton, Ohio. 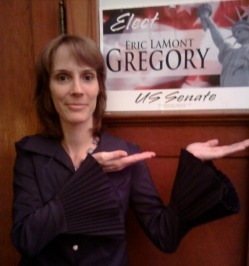 Tracey Beaugrand at the Gregory for US Senate campaign office. Photo by Gregory for US Senate Campaign Committee.